Pokemon Go has quickly become a cultural phenomenon like no other. On the face of it, it’s just a game that gets users to play and compete with their friends. But its growth numbers show that much more than an ordinary game. Pokemon was originally a video game created by Nintendo in 1995. It then spun off into a hugely popular anime in 1997 that has been on TV ever since. Pokemon Go, launched on 7th July 2016, is a smartphone version of the Pokemon game that lets users engage with their surroundings as they search for their favourite Pokemon. And this one game has raised the profile of Pokemon to never-seen-before heights. This Google Trends chart shows how searches for Pokemon have exploded since its release. 2. 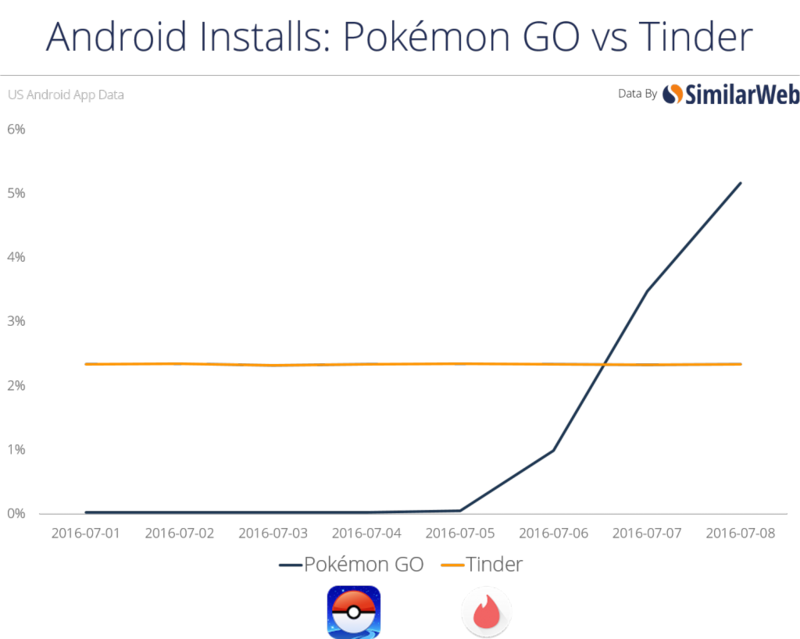 The app already has more downloads than Tinder, on of the breakout success stories of the last few years. 3. 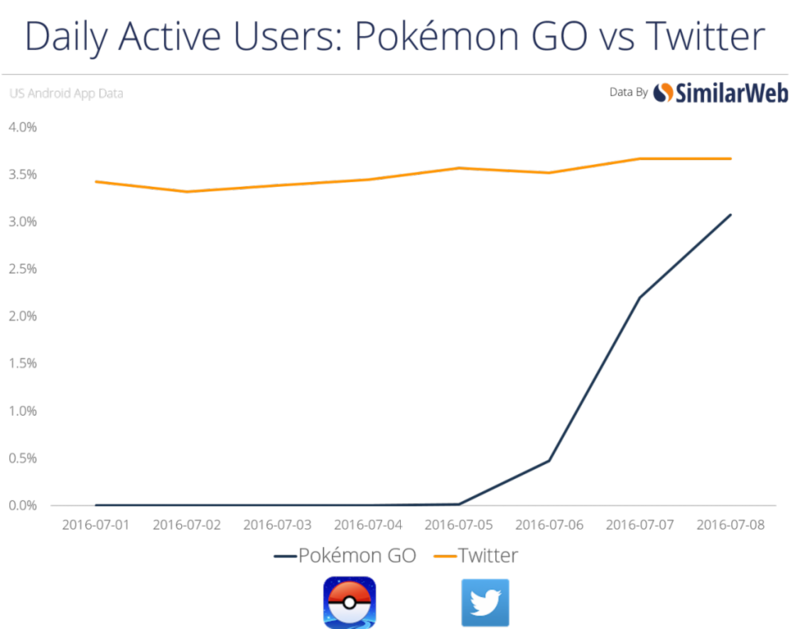 This explosion in Pokemon Go’s popularity has meant that its daily active users are almost at par with some of the top apps in the world. Twitter was founded in 2006 and is worth 20 billion dollars. Pokemon Go was launched in 3 countries on 7th July. It already has almost as many users as Twitter in 3 days after is launch. 4. And it’s not just downloads. 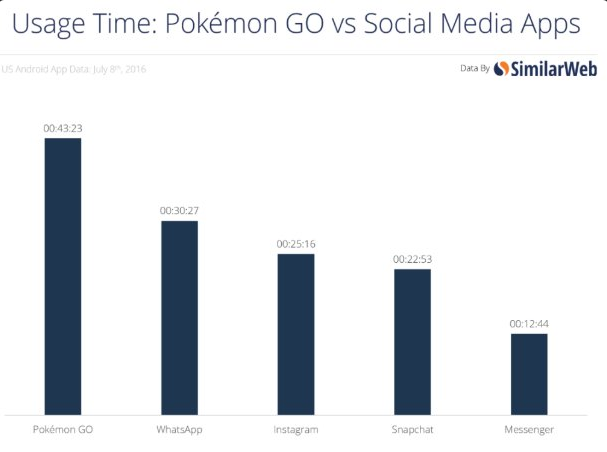 Users are actively engaging with Pokemon Go, and for much longer periods than with other apps. 5. Investors have not let this go unnoticed. 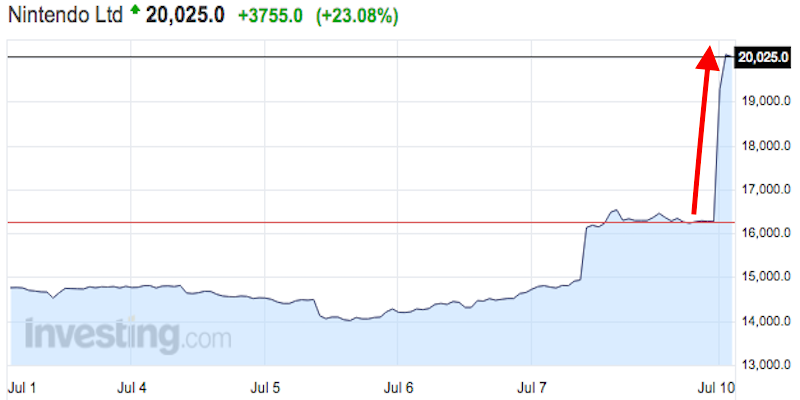 The Nintendo stock is up nearly 50% in the first 3 days of its release. This is the biggest single-day movement in a stock’s price in 1983.